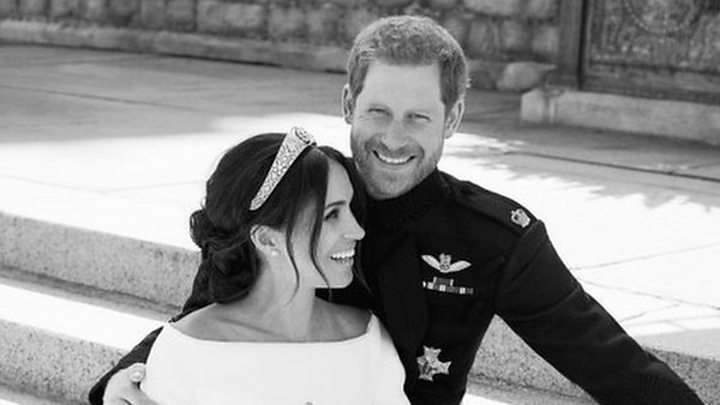 Prince Harry and Meghan's young bridesmaids and pageboys were "bribed" with sweets to pose for photographs, the man behind the camera says.Alexi Lubomirski took three official photographs, including one of the newly wed couple with the 10 children. "I could hear the kids started crying in the background and there was some chaos, and then I heard this magic word... 'Smarties'," he said.Prince George and Princess Charlotte were among those pictured. Another photograph showed the newlyweds with their main family members and their bridesmaids and page boys in Windsor Castle's green drawing room. Mr Lubomirski said: "The atmosphere in the room was obviously very joyful, there were lots of smiles. "It was like a family room after a wedding. Some parents were trying to wrangle the children, other uncles and aunts were talking to their nephews and nieces. "Explaining how he managed to "control the kids", he said "they were being bribed with one Smartie here and one Smartie there".The fashion photographer also took the couple's official engagement pictures and said Prince Harry and Meghan had requested a "modern twist, a bit of a breath of fresh air" for their wedding shots. The third photograph, in black and white, shows the new Duchess of Sussex sitting on Prince Harry's lap as they relax on the steps of Windsor Castle.Mr Lubomirski described taking the picture. "We had about three-and-a-half minutes to take some pictures, because everything was like clockwork, and it was just one of the those magical moments," he said. "The sun is setting just over the top of Windsor Castle behind them, it is just the most serene beautiful light, they are in love, walking around this beautiful garden. "He added: "There was this moment where they were just laughing because they were joking about how they were exhausted and finally it's all over, and they just looked at each other and they were just laughing, and it was this just beautiful moment."